NOVEMBER 17, 2017, THE BRONX—The Doe Fund was joined by the New York City Department of Housing Preservation and Development (HPD), the New York City Housing Authority (NYCHA), the New York City Human Resources Administration (HRA), and development partners today for a ribbon cutting ceremony celebrating the completion of Crotona Park, an affordable and supportive housing development in the Bronx. The new building’s 60 apartments are reserved for extremely low-income individuals. Rents at Crotona Park will be kept at or below 30% AMI, which is $22,040 for a single person. 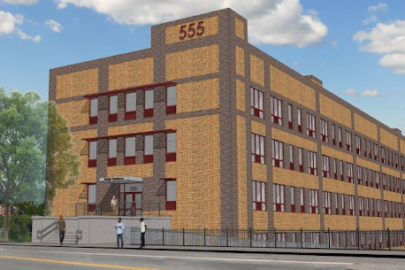 Located at 1420 Crotona Park East, the eight-story, 36,400 square foot building includes 60 studio apartments, 36 of which are for formerly homeless individuals with chronic conditions, and 24 of which are reserved for seniors currently on the NYCHA wait list. The residence includes a community room, a landscaped courtyard and garden, on-site laundry facilities, and 24-hour professionally staffed security. “Citi is proud to have provided construction financing for Crotona Park and we are excited to help The Doe Fund and our partners celebrate the opening of this important project,” said William Yates, a Director with Citi Community Capital. The project has a NY/NY III services contract from a division of the New York City Human Resources Administration, enabling The Doe Fund to provide onsite services including comprehensive case management, linkages to health care, and other services as needed such as job preparedness, employment training, and drug/alcohol prevention services. 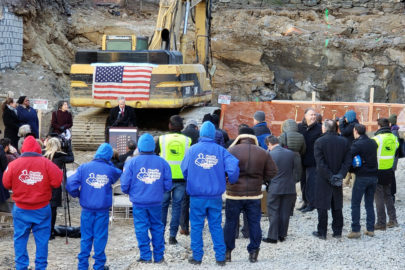 Crotona Park joins the existing portfolio of supportive and affordable housing developments operated by The Doe Fund throughout New York City. The HPD regulatory agreement on Crotona Park will keep the development affordable for the next 60 years at least. The total development cost for Crotona Park was $21.1 million. 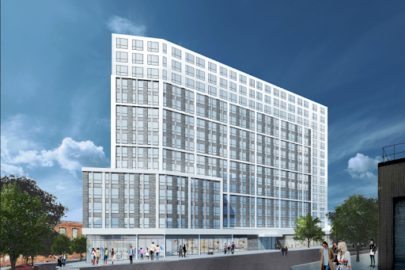 Citi Community Capital acted as the lender in this financing deal and provided a $16 million bank loan toward construction financing and a $5 million bank loan toward permanent financing. NYCHA provided Section 8 Project-Based Vouchers for the entire project. HPD provided a $2 million loan and low-income housing tax credits to the development which will generate $13.9 million in tax credit equity toward permanent financing. Raymond James Tax Credit Funds was the project’s tax credit syndicator. L Riso & Sons Co. is general contractor for Crotona Park. Delacour, Ferrara & Church Architects is the project’s architectural firm. Crotona Park was completed in December 2016 and has reached full occupancy.